New England is lovely when blanketed in winter white, and cool activities make this frozen season one you'll warmly embrace. This is skiing and snuggling season, a time to enjoy the invigorating freshness of a winter day, then sip hot cider in front of a fire with the one you cherish. 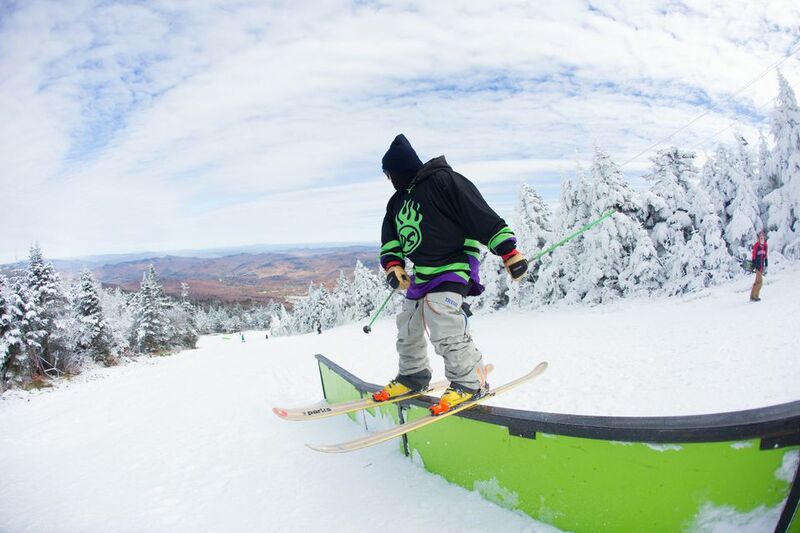 Here are 10 ways to experience the best of winter in New England. You don't need lessons. There's no expensive equipment to buy. And your shins won't ache at the end of the day. It's no wonder that in New England, snow tubing has become a popular alternative to skiing. With more than a dozen New England tubing parks offering fast-paced fun, families visiting the region this winter will find ample opportunities to give tubing a try. After a day of playing in the snow or strolling arm-in-arm through this winter wonderland, nothing is quite as romantic as retiring to your room at a charming and cozy inn and lighting a crackling, comforting fire in your own fireplace. Here are 10 New England inns where you'll find a fireplace in each and every guest room. Is a New England winter getaway out of the question for those who hate bundling up? Heck, no. Here are seven New England places where, even on cold, frigid days, you may just forget that it's winter. Each winter, frozen water becomes a building material in Lincoln, New Hampshire. Step inside the Northeast's coolest ice castle, and you'll be dazzled by what can be achieved when humans collaborate with Mother Nature. Photo ops abound inside this enormous icicle palace. Vermont is New England's winter sports capital, and if careening downhill on skis or a snowboard isn't your thing, that doesn't mean you can't enjoy playing in the fluffy white stuff. Here's your guide to 10 places in Vermont where you can cross-country ski or snowshoe. It's great exercise, without the risk of injuring yourself on the downhill slopes. Ice skating can be romantic, fun and great exercise! There's excellent skating in Southern Maine and Connecticut. You may find this hard to believe, but you can swim outdoors in New England even in the dead of winter. Here's your guide to hotels and resorts in the region that keep their heated outdoor pools open year-round. Have you ever tried snowmobiling? You'll find miles of trails to explore in northern New England and outfitters that will show you the ropes and lead you on guided adventures. Northern Extremes in the heart of New Hampshire's White Mountains is one of the best. Muddy Paw Sled Dog Kennel offers dog sled tours not only in winter but spring through fall. The more than 100 rescue dogs trained to pull dog sleds delight in the work that earns them a forever home, and dog sledding is a winter adventure that's memorable and fun for New Hampshire visitors of all ages. Peacepups Dog Sledding in Lake Elmore, Vermont, offers dog sledding day tours with a team of Siberian Huskies. Mushing 101 sessions are available for those who'd like to learn to drive a dogsled. Northern Exposure Outfitters Sled Dog Tours in Brookfield, Massachusetts, offers dog sledding tours and lessons even in the spring and fall when there's no snow.